Happy Tuesday! This week’s Top Ten Tuesday let’s everyone pick their own topics. 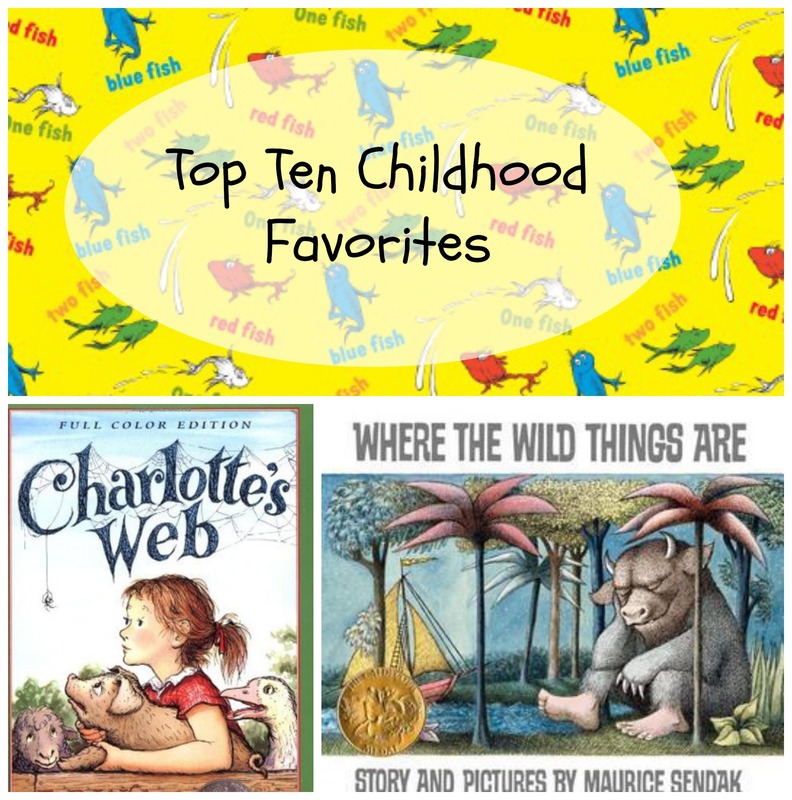 I always talk about my current favorites or books I’ve read recently, so I thought it would be fun to do my top ten favorite books from when I was little. From books that my mom or teachers read to me, to required reading, to my first favorite series, here we go. 1. Where the Wild Things Are, by Maurice Sendak. I think everyone loved this book as a kid, honestly. I even loved the movie that came out a couple years ago. 2. Charlotte’s Web, by E.B. White. Yes, yes I do cry every time. 3. The Rainbow Fish, by Marcus Pfister. Another one…who DIDN’T love this book when they were little? 4. The Nancy Drew series, by Carolyn Keene. I remember so clearly getting a few of these books for Christmas one year in like 4th grade maybe, and the obsession began. 5. Tuck Everlasting, by Natalie Babbit. One of the first “required reading” books that I ever loved. This then began the love affair with the movie, and whoever the guy was that played Jesse. 6. Corduroy, by Dan Freeman. My mom read this to me SO MUCH when I was little, I loved that bear. 7. 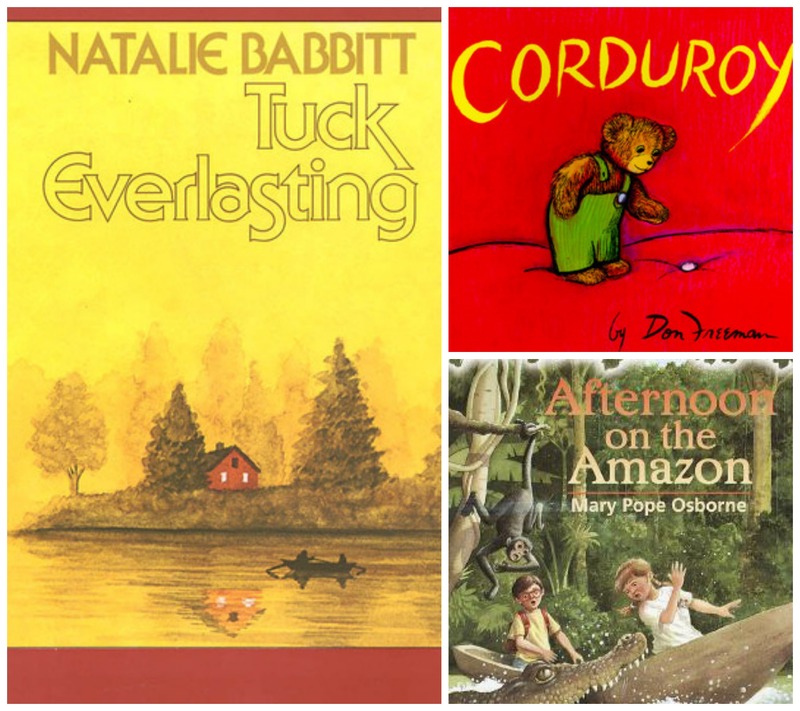 The Magic Treehouse Series, by Mary Pope Osborne. I was in some book club thing that sent the newest book to my house each month along with like a project and stuff to go along with it, and I was always so excited to get the next one. 8. From the Mixed Up Files of Mrs. Basil E. Frankweiler, by E.L Konigsburg. Another book I remember reading for school in elementary school and just loving. It made me want to live in a museum for a night. 9. Brown Bear, Brown Bear, What Do You See? by Eric Carle. There are so many of these books now, but this was the first Eric Carle book I had experience with when I was little, and I loved it. 10. 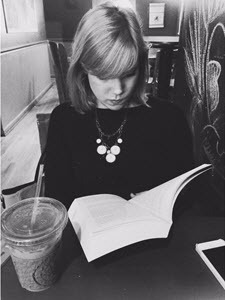 The Babysitter’s Club, by Ann M. Martin. THESE BOOKS. I’m pretty sure I read like, every single one, honestly. So, now that I’ve shared mine, what were some of your favorite books when you were a kid? ← Amy Analyzes: Is the “John Green Effect” Really a Thing? Awww I love this list! I remember being rather partial to The Very Hungry Caterpillar myself. LOVED Tuck Everlasting, and the BSC were always a good time. So fun! I absolutely loved the Nancy Drew series! I remember thinking that when I grew up I wanted to be just like her… my, how things change! 🙂 Nice list! I did too! Still would kind of like that – outgoing, smart and sassy are good things to be! I loved this book called Tacky the Penguin. It ended up quite worn, food-stained, and drawn on. For the classics, The Secret Garden, Matilda, and everything by Beverly Cleary. 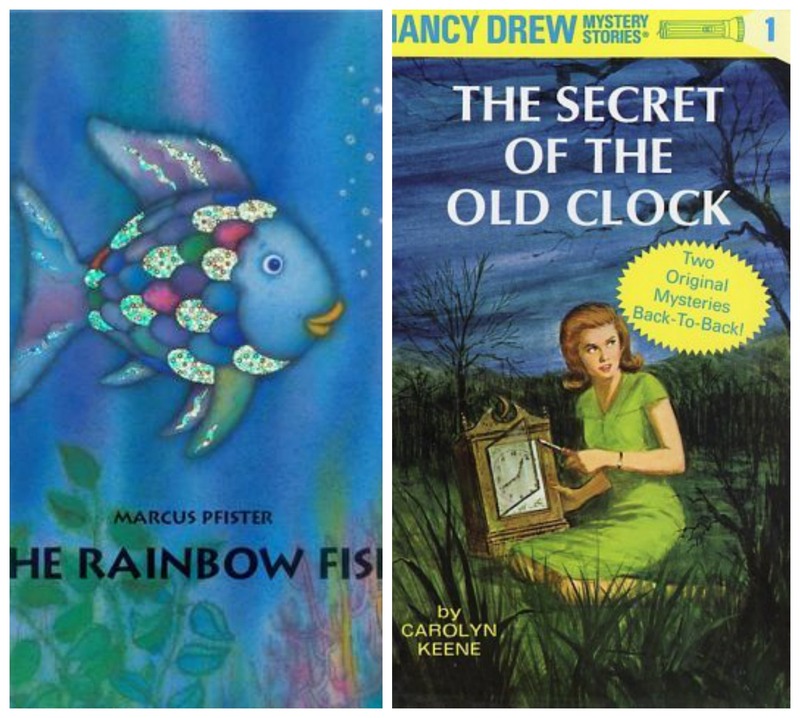 I’ll admit that as a child, The Rainbow Fish was a pretty hot ticket item in the library presumably due to the glossy art. The most memorable childhood book for me was still probably The Giving Tree. Oh my feels. Oh The Giving Tree! It would probably make me cry if I read it again now!